You've heard of a third wheel. Well how about a third leg? 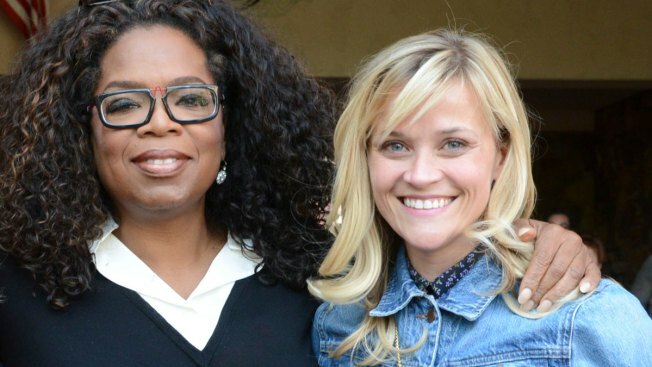 Reese Witherspoon revealed some surprising news on Thursday...she has three legs! The "Big Little Lies" actress appears on the cover of Vanity Fair's 2018 Hollywood Issue, released Thursday morning, alongside Oprah Winfrey, Nicole Kidman, Tom Hanks, Zendaya, Michael B. Jordan, Jessica Chastain, Claire Foy, Michael Shannon, Harrison Ford, Gal Gadot and Robert De Niro. After the cover was revealed, one fan noted that it looks like Reese has more than two legs in the cover photo. "im tryna figure out how many legs reese witherspoon's got in here, it's been bothering me for the last five minutes," Twitter user @leiascaptain wrote. One Twitter user also noticed that in another photo from the cover shoot it appears that Oprah has three hands. "Oprah has 3 hands in this photo. THREE HANDS. Reese: 3 legs. Oprah 3: hands," @tnwhiskeywoman tweeted Thursday along with a photo that appears to show one of Oprah's hands on her hip, one in front of her and a third hand around Reese's waist.